Courtesy the artist; Vitamin Creative Space, Guangzhou, Beijing; Galerie Martin Janda, Vienna; and Shougo Arts, Tokyo. Jun Yang’s wide-ranging work, which includes film, video, installation, and public projects, often examines the influence of cliché media imagery on the formation of identity. Part of a larger body of work, Paris Syndrome is named for a disorder said to affect tourists visiting Paris or parts of Western Europe in which the afflicted experience delusional states, hallucination, dizziness, and sweating. Shot in residential areas of Guangzhou, China, the video depicts a couple looking out onto various urban scenes; they appear shocked and lost, unable to comprehend or participate in their surrounding environment. Here, the couple experiences the syndrome as a trauma, wherein they are unable to reconcile their dream of a city with its harsh reality. HD video, silent, black-and-white. Courtesy the artist. A prolific artist, writer, publisher, curator, and teacher, Yao Jui-Chung has exerted a tremendous impact on the Taiwanese art scene. 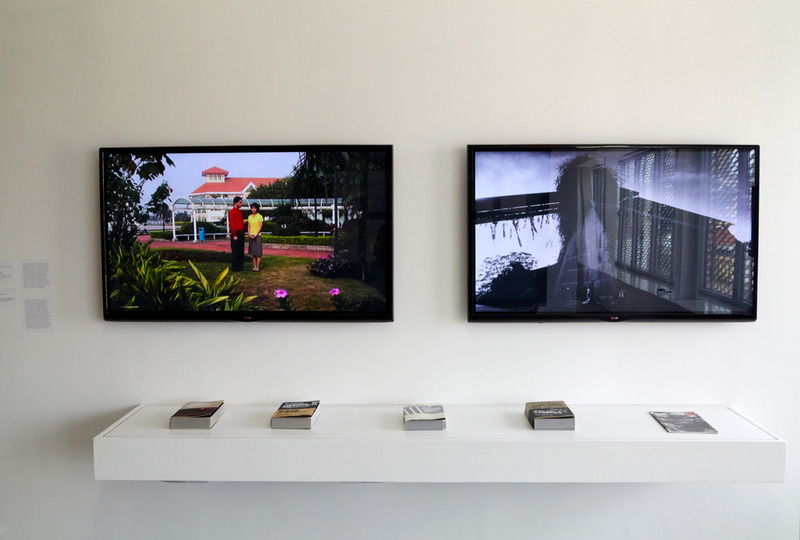 His work often engages Taiwan’s historical past, evoking the political and psychological complexity involved in the various waves of colonialism its people have endured. For decades, he has been studying discarded and disused buildings around Taiwan and capturing them through photography. Roaming around the Ruins provides a glimpse into the vast documentary archive that the artist has amassed over the years; it unfolds as a slideshow, like one you might see of a friend’s vacation, but in this case, all of the sites are in a state of abandonment. Shot from idiosyncratic angles, the photographs evince not the formality of an architectural survey but the attachment, questioning, and wistfulness of a citizen.